Just choose WHAT to paint and HOW to paint it. Feed your art addiction. Find art. Merge it. Remixing is a talent. Can you find the magic? 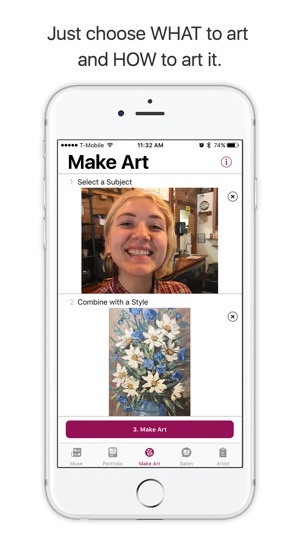 Give the Pikazo AI a style—one of our readymades, an image on your camera roll, or a pic from the internet—and our AI painter uses it as inspiration to repaint your photos. You'll start seeing styles everywhere. A cool t-shirt. A band poster. Street art. Latte art. Styles are everywhere, and only one snap anyway. Choose a subject by snapping a photo, picking one from your camera roll, or using our built-in web search. It it can be a selfie, a family photo, your favorite place or any image you can find. 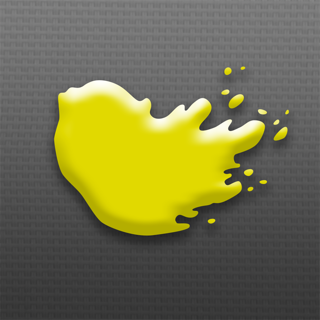 Start by using one of our hundreds of readymade high-resolution styles to get the hang of it. Then begin to explore with any other image you can find. 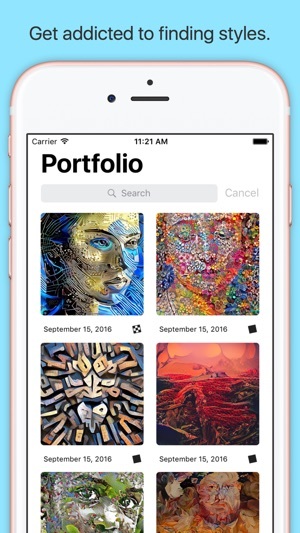 Take a photo of art you see in the world, choose a texture from your camera roll, search for patterns on the Internet… the possibilities are endless. Submit your choices and get a quick draft render to see if you like the combination. Audition a few different styles, and when you find one you like, enhance it to gorgeous high resolution. Build your portfolio of personal, production-quality artwork, then save and export the Pikazos you’ve made, share them on social media, post them to our salon for feedback, use them in your blog post or presentation, or even order a print. And with our inspirational MUSE section right in the app, you’ll never run out of ideas. Tables speckled with the bright drops of yellow, red, and blue paint that never made it to a student’s canvas. The faint smell of clay from misshapen forms left to dry on a shelf, waiting for the kiln. The feel of charcoal between finger and thumb, strangely warm and imprecise. 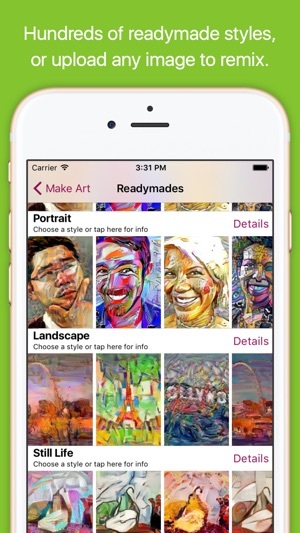 We believe that art is a universal birthright, and we created Pikazo to help you claim it. Pikazo doesn’t care if you’re Bob Ross or can’t even doodle. Unlike oils or acrylics, the neural algorithms it uses obey an accountant or athlete as precisely as a master painter. Pikazo in hand, the world is now yours. Make it art. Maybe you’re a professional artist now and you’re adding Pikazo images to a toolkit alongside brushes and turpentine. Or maybe the charcoal seemed to disobey you intentionally, you swore the paint preferred the table, and your sculpture was mistaken for discarded clay and never made it to the kiln. And maybe, ever since that art class, you’ve believed that art was something other people did - special, privileged people who could take anything in the world and magically make it art. JOIN THE ART WORLD, NO BERET NEEDED. As a Pikazo artist, you are cordially invited to exhibit your work in the exclusive Salon, a gathering where like-minded creatives praise and critique each other’s art while, we assume, sipping espresso and wearing black. FRESH, PREMIUM STYLES EVERY WEEK. From the paintings of Pablo Picasso himself to the masonry of Angkor Wat, the world we see is packed with beautiful art that can be applied to any photo using Pikazo. Every week, we seek out the style images that deliver the most beautiful results and deliver them with a dose of creative inspiration. TO AN ARTIST, ART IS EVERYTHING. TO PIKAZO, EVERYTHING IS ART. 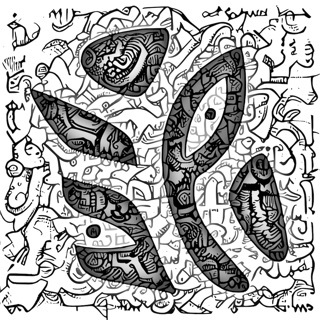 Pikazo is a collaboration between human, machine, and our concept of art. It is an experiment to see what emerges when anyone can create a masterpiece. It is yoga for the brain. Brain for the yoga. For for the the. It is a universal art machine that paints any image in the style of any other, producing sometimes-beautiful, sometimes-disturbing, always-surprising artworks. We encourage you to play. We can't wait to see what you make with it! - PRINT ORDERING IS NOW AVAILABLE ! 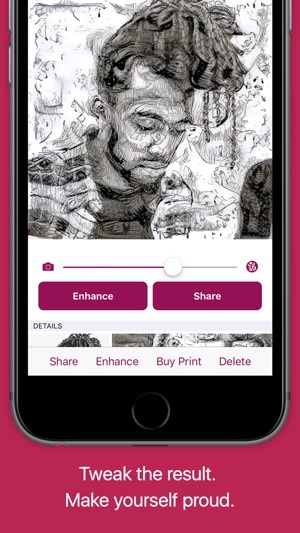 Pikazo users can now see their prints come to life through ordering a physical print on the app. Prints make an amazing gift or add more depth to your own home or office. Stay tune for more updates, which include new style packs! Firstly, I actually bought all the additional style packs but one. The styles say high definition readymade templates. This can be assumed by many people as the styles are ALREADY signature level detailed templates...they are not. That’s an additional charge each level of sharpness you want. Wahhh? Seriously? Second, the level of “AI” is a slider lol. You can see where your original line in an abstract digital painting for example was. It’s a filter. Pikazo styles get extremely similar the more you edit with the app. That’s awful when the templates CAN be much more amazing. Thirdly, almost every app now has layers, offer double exposure options, ACTUAL filter editing (HSL, opacity, contrast etc etc)...and more. We want REAL editing options. Make OUR art not look the literal same as everyone else’s. Printing is a cool idea but again not if the picture isn’t sharp. Charging us more is outright ridiculousness. Make a REAL update please. I am enjoying experimenting with visual style transfer. Particularly when I use two of my own images. I paid for the enhancement feature, and discovered that the results made the file bigger as advertised. But, the process did not seem to rerun the style transfer model. The final images were not really any more visually detailed. The results still had lots of visual artifacts, that I would have hoped that paying for larger images would have resolved. great app. 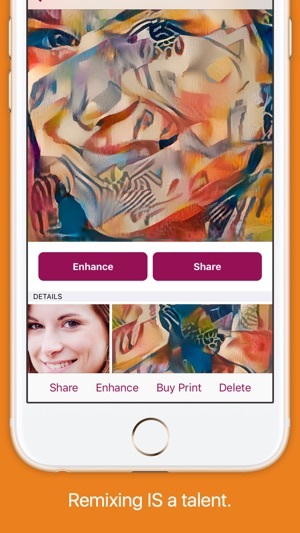 One of the few AI based art creating apps that is really creative, AND lets you use your own images as a basis for the transformation. HOWEVER, I almost always used the built in Adobe SDK which you removed on the last update. It saved me time. Who cares if other people deprecated it? Requires iOS 9.1 or later. Compatible with iPhone, iPad, and iPod touch.